When we recite the Apostles’ Creed, we say the words, “I believe in the Holy Spirit.” It’s a fine idea to believe in the Holy Spirit, and, of course, it is essential to proper Christian doctrine. But what are the practical implications of this affirmation? What does the Holy Spirit do in the life of the believer? John Wesley once said that one could be as orthodox as the devil, and just as lacking in the true religion of the heart. An encounter with the Holy Spirit is, I believe, the key to the religion of the heart that was so crucial to Wesley’s theology. As I walk alongside other United Methodists, as well as Christians of many other stripes, I don’t often see a great deal of emphasis on the power and work of the Holy Spirit. Too often, God seems to function as a construct that gives weight to our ethical principles, but we do not see God as an agent who actually works in our lives. Now there are varieties of gifts, but the same Spirit; and there are varieties of services, but the same Lord; and there are varieties of activities, but it is the same God who activates all of them in everyone.To each is given the manifestation of the Spirit for the common good. To one is given through the Spirit the utterance of wisdom, and to another the utterance of knowledge according to the same Spirit, to another faith by the same Spirit, to another gifts of healing by the one Spirit, to another the working of miracles, to another prophecy, to another the discernment of spirits, to another various kinds of tongues, to another the interpretation of tongues. All these are activated by one and the same Spirit, who allots to each one individually just as the Spirit chooses. 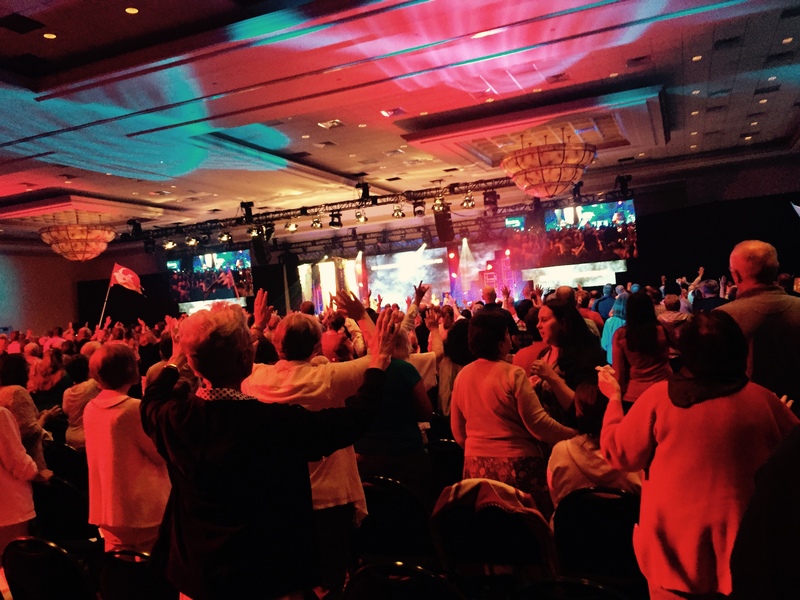 I just returned from three days at the ARM annual conference on Spirit-filled living. It was three days where Christian brothers and sisters came together simply to worship God and learn from one another about the ways in which the Holy Spirit can work in our lives for the good. One of the highlights of the conference was a sermon delivered by Cuban bishop Ricardo Pereira. He is a powerful, compelling, and Spirit-filled preacher. I’ve written before about the Cuban Methodist revival, which I was privileged to see first hand last January. It was great for folks at the conference to get a glimpse of what is happening there. Bishop Ricardo Pereira, along with Rev. Jacquie Leveron, who translated for him. There were a number of very fine breakout sessions, including one by my friend and colleague Peter Bellini that related to his book Truth Therapy. My wife Harriet and I presented together in a couple of sessions on the love of God and the power of the Holy Spirit in raising a child with disabilities. Later, I presented by myself on reading the Bible for growth in the faith in anticipation of a book I’m writing on this topic. You can see a list of all the conference speakers by clicking here. My older son, Luke, attended a concurrent meeting for teens called the Gate. He’s a pretty shy kid, so I wasn’t sure how he’d like it, but he LOVED it and can’t wait to go back next year. (THANK YOU, Gate folks!). 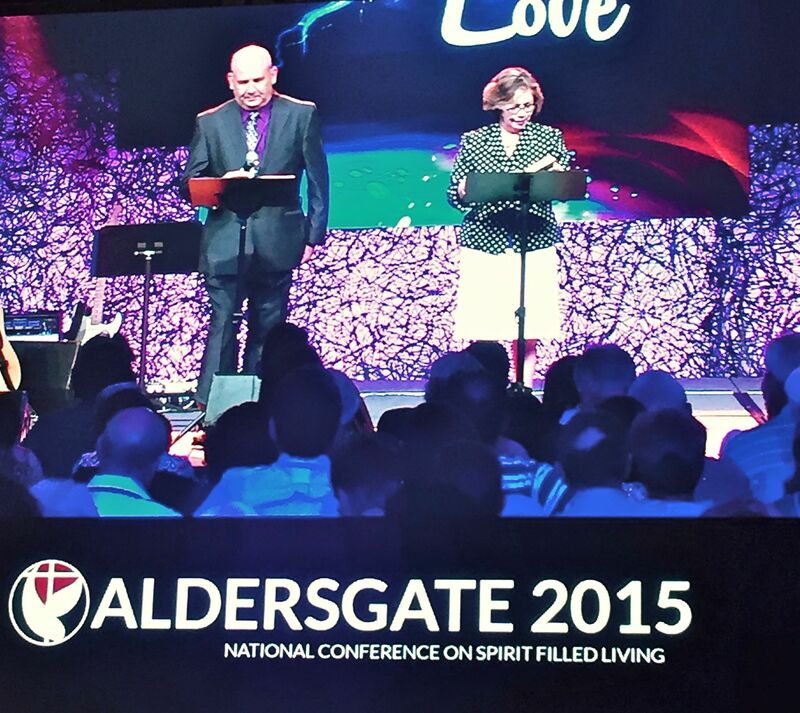 I’ve said it once and I’ll say it again: Aldersgate Renewal Ministries is the most important thing going in the UMC today. The Holy Spirit is the driver of all true renewal in the church, and ARM is helping us to recover pneumatological aspects of our tradition that have been lost to modernity, including signs and wonders, a full-bodied concept of conversion, prophecy, and words of knowledge and wisdom.